API publishers require public API documentation and require easy-to-read examples and specifications. 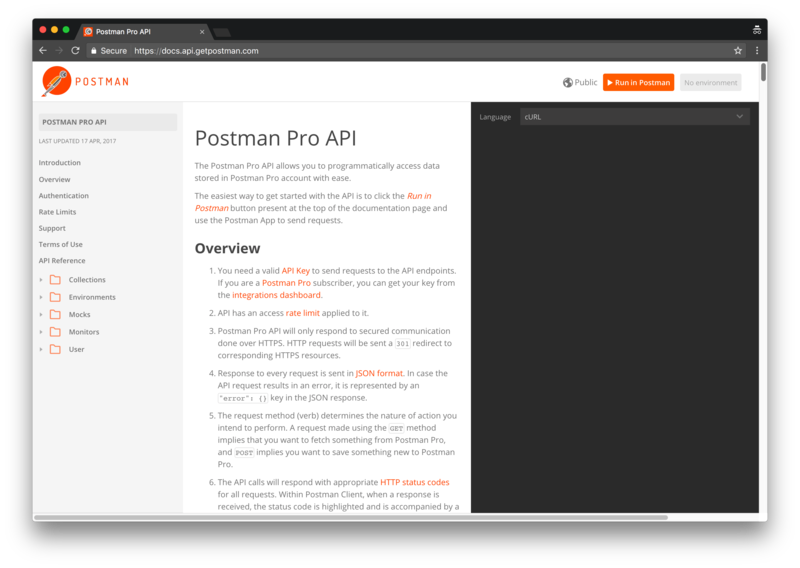 Postman publishes our own API documentation using Postman Pro's documentation. Developers rely on this documentation for learning about the service, implementing their integrations, and debugging. Learn how to publish your own public docs. Your collections are documented with folders, requests, responses, parameters, code snippets, environments, and examples. Create clear and elegant documentation using Markdown in your descriptions for collections, folders, and requests. Publish this documentation on your custom domain, and further customize the appearance of these pages according to your own brand guidelines. 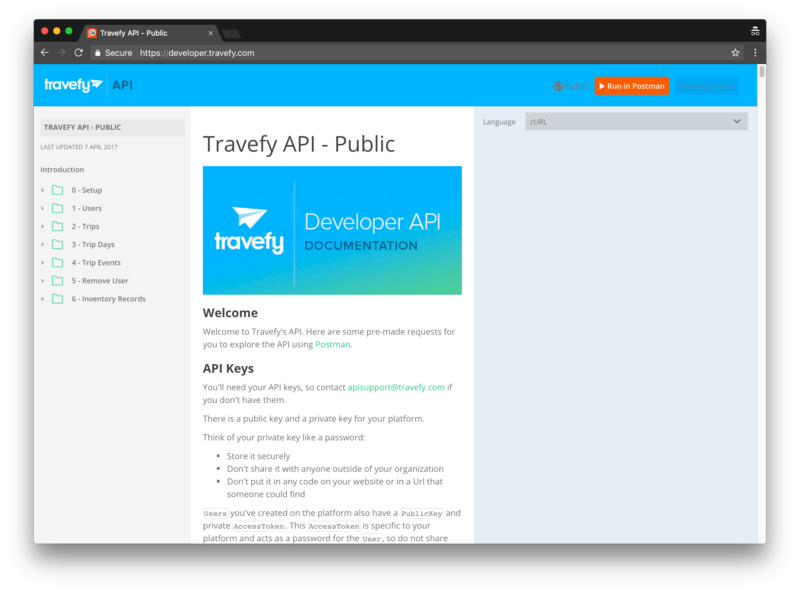 Publish your API documentation with the click of a button. The pages are automatically generated, and updates are automatically synced. 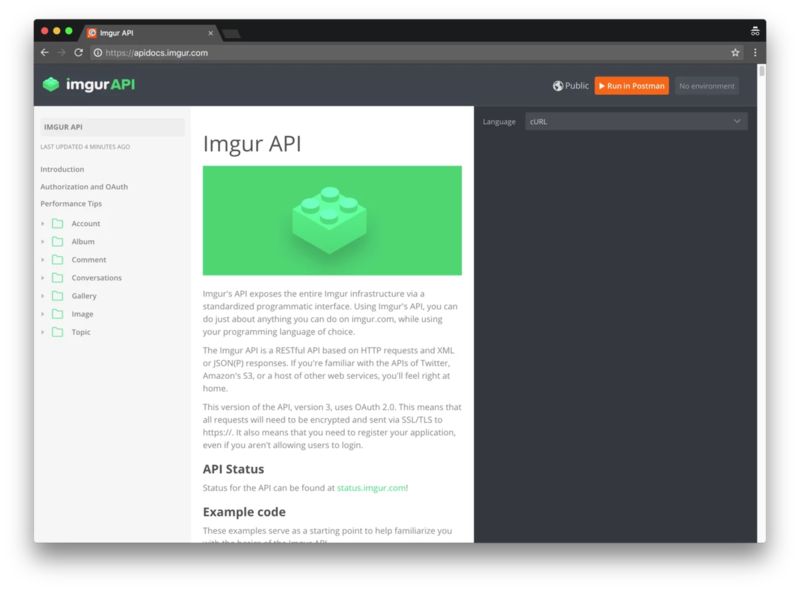 You will never have to host or manage servers for your API documentation ever again.